Tasmania is an island state in Australia. Colloquially known as Tassie, it is located 240 km south of the Australian mainland. With a population of approximately 519,100 people, it is believed to have been inhabited by indigenous people for 300,00 years before British colonisation. Popular touristic attractions include Cradle Mountain, Port Arthur and Huon Valley. Grab this opportunity of a lifetime, because cheap flights to Tasmania are now available for a limited period! Tasmania is home to Hobart International Airport (HBA) which is a 4 hour and 15-minute drive from the city centre of Tasmania. Hobart International Airport serves many airlines including Emirates, Etihad Airways, Singapore Airlines and Qantas. Popular international flights depart from Johannesburg and Cape Town. The flight duration from Johannesburg to Tasmania is 16 hours, 20 minutes. Tasmania is promoted as a natural state with protected areas making up 42% of its land area. There are pretty amazing natural sites to see which include several national parks and World Heritage Sites. 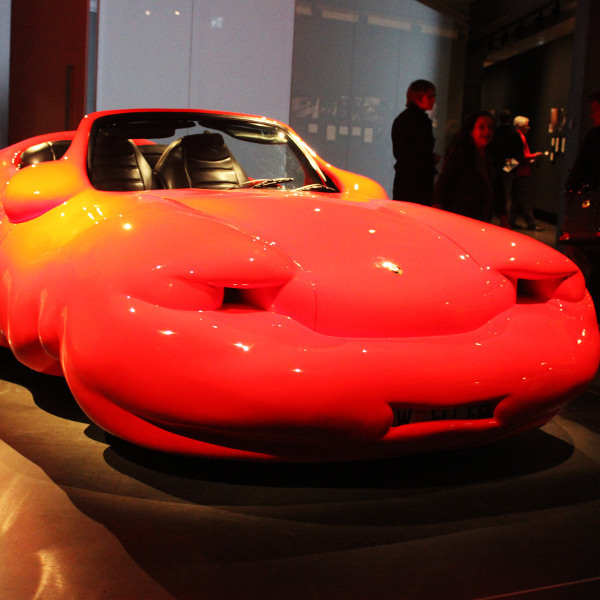 The exciting Museum of Old & New Art (MONA) is a world-class attraction for all to enjoy! It is an artsy building that will keep you entertained with its quirky and controversial installations. MONA has over 1900 collection pieces. The island state is home to many animal species. 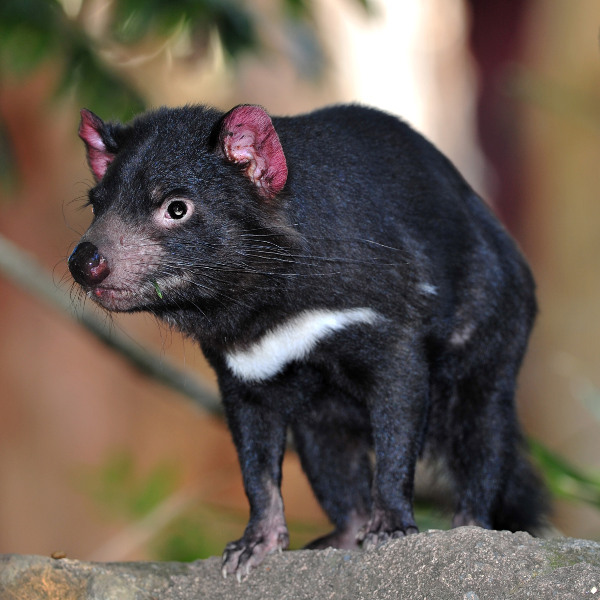 Here, you’ll find a diverse Australian wildlife, including the famous Tasmanian devil! Venture to Tasmania to see Australia’s unique wildlife, such as the wombat and pademelon. Tasmania’s weather differs so vastly from the rest of Australia. It has a cool temperate climate with four distinct seasons. Many people consider the best time to visit Tasmania to be in summer from December to February. This is also the busiest and most expensive time to visit the island state but you’ll experience the most comfortable Tassie temperatures. Summer is a great time to try out all Tasmania’s outdoor activities in its beautiful parks and on its breathtaking mountains. If you’re looking for the best prices, June to August (winter) is a great time to visit Tasmania. Hotels and airlines offer reduced rates during winter! If you’re planning to see Tasmania’s winter landscapes be sure to pack in your snow boots, long-sleeved clothes and an insulated jacket. Tasmania is home to an abundance of beautiful landscapes and adventurous activities with awe-inspiring views. Throughout a vacation in beautiful Tasmania, tourists are often left speechless by all the one-of-a-kind sites and wildlife that is to be encountered on this state island nicknamed “Tassie”. The state capital, Hobart, welcomes you with open arms. Take in the relaxed ambience with old Georgian buildings lined along the city’s streets, warehouses converted into small restaurants, craft shops and cafés. Take a scenic drive from Hobart to Bicheno, where you’ll locate the world-renowned Freycinet National Park. It is home to secluded bays, pink granite peaks, white sandy beaches and incredible birdlife. Tasmania is the ideal destination for nature lovers with places such as Cradle Mountain, Wineglass Bay, Great Oyster Bay and Maria Island to excite your senses. Get ready for an action-packed vacation with mountain biking, hiking, kayaking, and sailing along some of the world’s most beautiful natural attractions. The island state entices visitors with its food and wine tours. You’ll get to taste your way through Tasmania at world-class wine bars and restaurants. Tasmania is fast becoming known for producing some of Australia’s best pinot noir and sparkling wine. This green and mountainous island truly has something special to offer anyone seeking a trip further down under. Compare and book cheap flights to Tasmania online at Travelstart! You will need a visa to travel to Tasmania and the rest of Australia. See this guide on how to apply for your Australian visa. 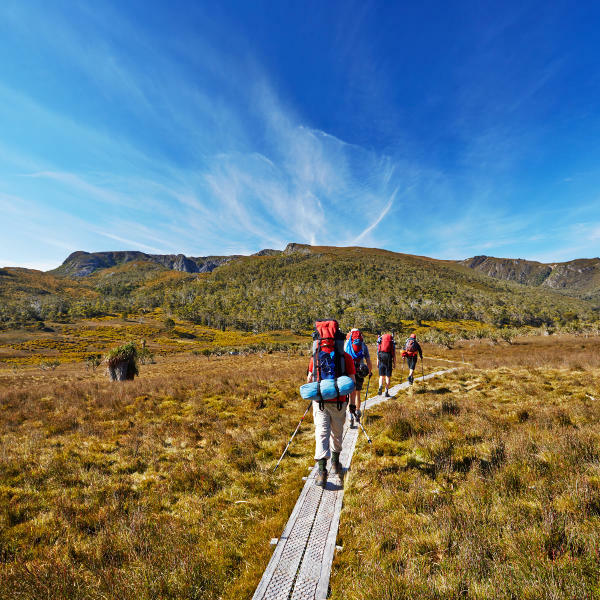 You are encouraged to purchase travel insurance, especially if you plan on taking on Tasmania’s adventure activities, such as rafting, mountain biking and rock climbing. • Always pack in mosquito repellent. • Apply a high-level water-resistant sunscreen throughout the day. • Be wary of snakes on your mountain and rainforest hikes. • Ask locals before drinking water from the taps and rivers – it might be unsafe due to high lead content. • Drink plenty of bottled water to avoid heat exhaustion and dehydration. • When hiking, be wary of jack jumper ants as they can give a nasty sting and can be troublesome for people with insect bite allergies. • Do not go to deserted places alone at night. • Do not leave personal possessions unattended in public spaces. • Always be vigilant of your travel documents. • When bushwalking be wary that bush fires are a serious risk in summer. • If you’re hiking alone, sign the national park log books and carry an emergency kit with you. • When driving on mountain roads be wary of wildlife, bends and ice on the roads.